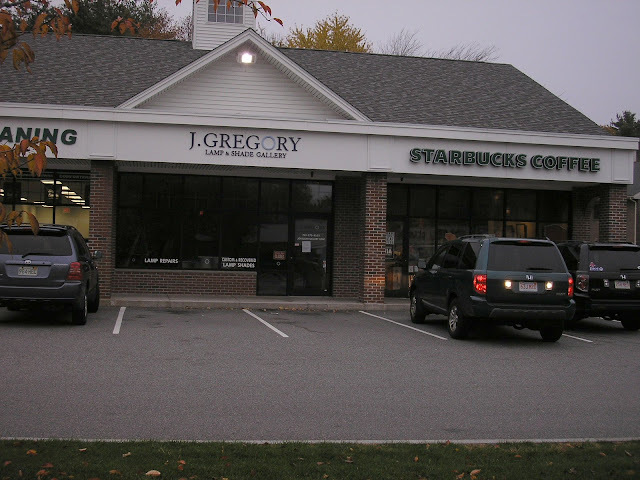 The J. Gregory Lamp & Shade Gallery located at 186 Great Road in Blue Ribbon Plaza shut down on October 25th. 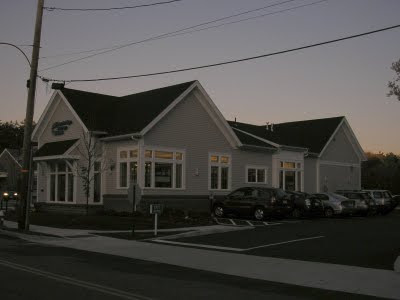 The store, which opened about 3 years ago, still has a retail location at it's main office in Needham. 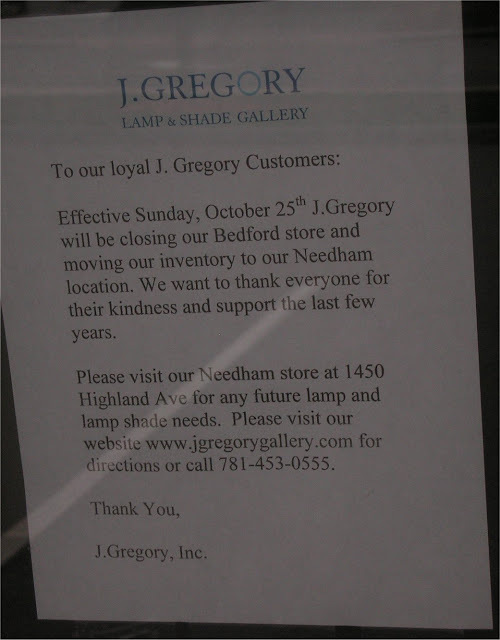 The remaining "lamp" store in Bedford is Baudanza Electric Co. which has a lot more lamps than it's name implies. Although I did not spend a lot of time in the store, the few times I did go in, it did not seem to have a lot of foot traffic. I am wondering if the product line was too upscale for the area. This appeared to be the case with Neena's Lighting which opened a location at the Vinebrook Plaza in Burlington only to close it about a year later. With the closing of J. Gregory, Blue Ribbon Plaza is looking for a new retail tenant. 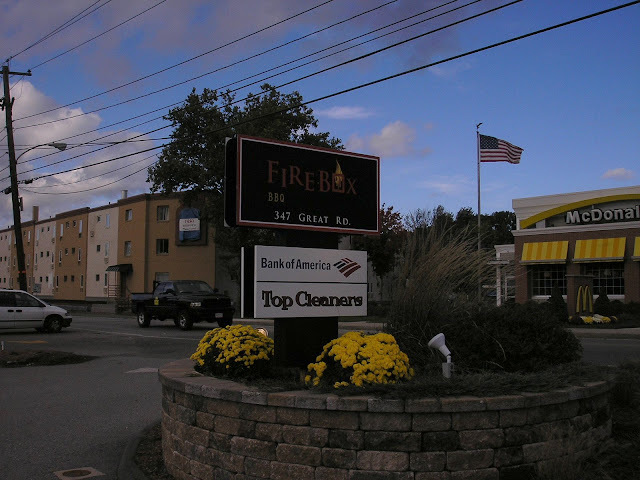 Firebox BBQ is set to open this Monday at 347 Great Road (former location of Ufood Grill). I recently spoke with Bryan McConnaughey, one of the owners. Bryan, a long time chef and restaurateur, has been interested in opening a BBQ restaurant for over 10 years with his college friend and fellow chef David Goldstone. They wanted to meld their extensive cooking experience across the United States and Europe in to a BBQ restaurant that people could feel at home at, enjoy great food and have fun. 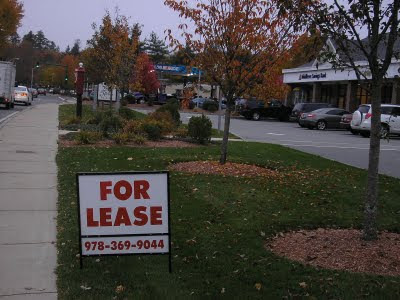 Recently Bryan and David decided to move forward with the restaurant and began looking for a location west of Boston. They really liked the Bedford area and thought the demographics of the residents plus the large number of people who work nearby would make it an ideal location. 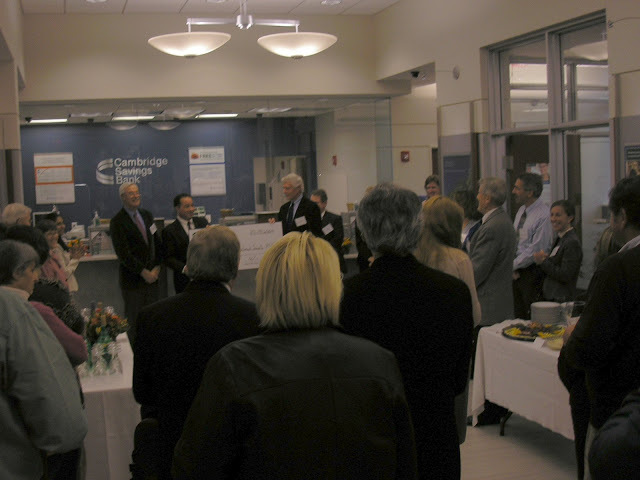 They also felt that the Town of Bedford was receptive to new businesses. While most of the restaurant is new and has been redesigned, they were able to purchase some equipment leftover from Ufood Grill. The dining room seats 44. It also includes a couch and several club chairs to give the place a more laid back atmosphere where people can sit back and relax and maybe even hold a informal business meeting. The restaurant features a contemporary design. 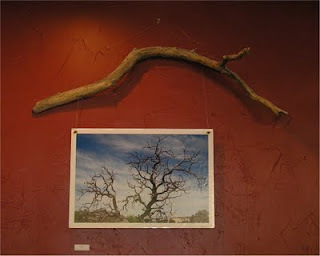 In fact the artwork is supplied by David's wife Carolyn, a well noted photographer. Bryan feels the keys to a successful restaurant are service, hospitality, community and or course good food. Bryan and David really want the restaurant to become part of the community and has already made donations to the Bedford VA and will be participating at The Flavors of Bedford. As far as Firebox, he describes it as 'BBQ with a twist'. Everything is made from scratch. 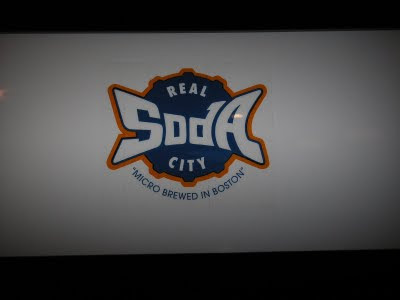 Much of the meats and other ingredients are sourced locally including a wide selection of micro-brewed Real City Soda along with beer and wine. 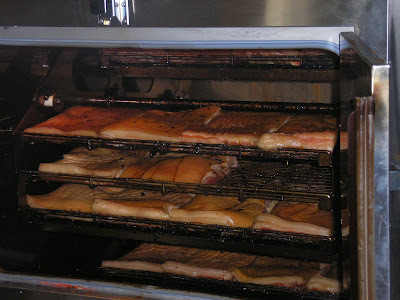 The large smoker is used for much of the cooking. Bacon is featured here. 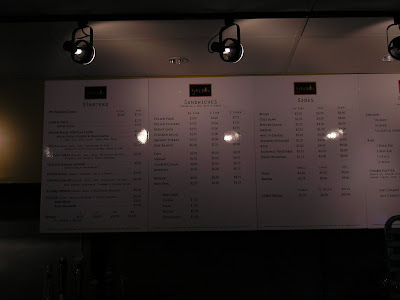 The restaurant features a wide assortment of micro brewed sodas, unsweetened ice tea, firebox and mango lemonade along with traditional beverages. Firebox also features online ordering on it's website. This means you can view the menu from your computer, place your order and then just come in and pick it up for dine in or take out. The system has the ability to save your previous orders to save time when ordering. I think this is a very useful feature especially for workers going out for lunch. I am surprised that other Bedford restaurants are not promoting this. The menu features traditional BBQ items along with a smattering of other cuisines such as Cuban Sandwiches, Lettuce Wraps and Fish Tacos. Please click on this image for a larger view. 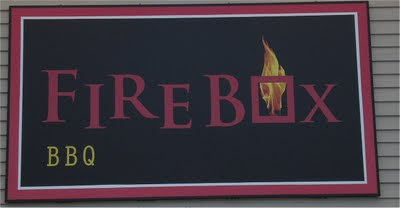 Firebox BBQ is located at what previously was Ufood Grill. According to Bryan, the restaurant employs about 10 people and is open from 11am-9pm every day. The restaurant also offers delivery and on-site catering for corporate and other events. As far as other BBQ restaurants, the two closest ones are Lester's in Burlington and Blue Ribbon BBQ in Arlington. Based on the number of people I saw knocking on the door to get menu's, there appears to a lot of interest in BBQ in Bedford. If Firebox BBQ can attract the lunchtime crowd, I think they will be very successful. The one thing I would like to see from Firebox BBQ and other restaurants in Town is to list their daily lunch specials on Twitter. This would be a great promotional tool in helping people decide where to go for lunch. 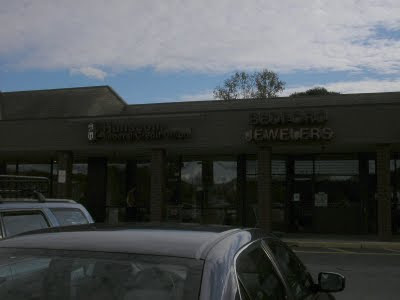 The Hanscom Federal Credit Union at 325 Great Rd (Great Road Shopping Center) will be expanding next door in to the former location of Bedford Jewelers. As part of the expansion, Bedford Jewelers has moved 3 stores down, to the former location of The Bedford Laundromat which closed in June. 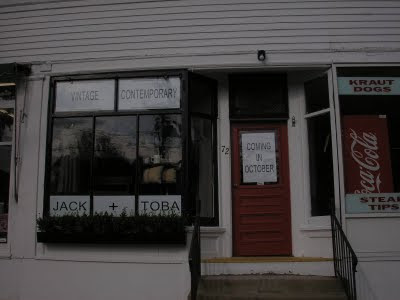 Another new store is opening soon on the Blake Block. This replaces Title Town Sports which was only open for a few months. The new store is expected to open later this month. Based on appearances, it may be an antique and or clothing store. Stay tuned for more details.